In the above link I present to you a movie that over one hundred million people have viewed over the past six months. The YouTube video created by Invisible Children involving Joseph Kony and the atrocities he has committed inspired average people to utilize the internet and become aware of an ongoing problem occurring a world away. Often times in modern society, complex political issues have to be simplified in order for the average individual to catch on. Understandably, not everyone has the time in their busy life to research and stay committed to a certain cause, unfortunately this is the main reason our society appears to have become lax with regards to the political system and important events going on, but hope is not lost. I was watching the news the other night and the main topics being displayed were of radical Islamic groups torching embassies and continued conflict within Syria. Aside from the average local topics that continue to find their way on my daily news channel, I failed to see anything regarding Kony 2012 or even the general area in Africa involved in this complex and unfortunate conflict. The areas I am talking about are the Republic of Congo, Uganda and a place called the Central African Republic. Kony and his members are constantly on the move and because they utilize guerrilla tactics, it is almost impossible to pinpoint a location where the group is at any given moment. This has made it very difficult for government agencies to find Kony and as a result he continues his rampage. This was not good enough for me and frankly I have had enough of it. I was inspired by the Kony video, not because I found it as something new and cool, but rather because I was witnessing an important event, that I myself had once studied, being exposed to the spotlight and given the attention it deserved. Something went wrong though, although some form of action was initiated, it feels as if everyone has forgotten about Kony 2012 and thus continue on as if the video was some sort of publicity stunt. I admit that I was skeptical about Invisible Children and the way they handled their donations, but I had to find out more information and as a result I did the unthinkable, the most unsafe thing a person could probably do by beginning my search for Kony. I found Joseph Kony and as it turns out, he is still on the run and does have access to the international scene as his refuge. You see, Joseph Kony like many other criminals does not have to play by the rules that you and I do. Joseph Kony was in Canada and as I was searching for him, was able to make contact with him and conduct a small interview granted certain conditions were met. I was not able to take photos, video or record any sounds from the interview. I was restricted to writing down both my questions and the answers I received with a pencil on paper and was there at my own risk. What I eventually derived from this meeting moved me and I believe will ultimately move you as well, which is why I felt it necessary to devote both time and space to this posting. Joseph Kony like other mass murderers in history such as Adolf Hitler is ultimately a human being and has a reason for his actions. What I have committed put my life at severe risk, but I could not pass up the chance to witness the side of someone as infamous as Kony. The only comparable encounter to this would have to be the chance to speak with Hitler himself and just ask him why...why commit such hatred in order to achieve something or think that your improving something? The following dialogue will be organized by my questions answered by Joseph Kony. My name will show up as Anthony and Joseph Kony will be represented simply by Kony. Both myself and Kony sat at a table in a basement apartment, the location was set within a public housing complex oddly enough and Kony was wearing heavy clothing coupled with an altered hair style and deep greyish facial hair. His appearance was greatly modified, but the individual I was looking directly at was Joseph Kony, one look into his eyes and one could see the various eyes that appear in the limited images available to the public pertaining to Kony. An aid of his sat between Kony and I as he properly interpreted the questions and responses being given. Kony's South African passport read Maurius Battinga, an international trader working both within South Africa and Canada. This information was obviously fabricated, but it allowed Kony to travel freely without question as his information checked out and as far as any of us are concerned...he is still fighting in Uganda. Anthony: Welcome, I thank you for the opportunity to sit down with you and answer these questions, do you have any questions for me before we begin? Kony: Welcome, I have only one question for you, on behalf of our lord and the spirits with us now, do you swear that you are who you say? Why did you want to find me? Anthony: I am who I originally told you I was, my purpose here today is to get your side of the argument, to attempt to answer a question many people have about you. 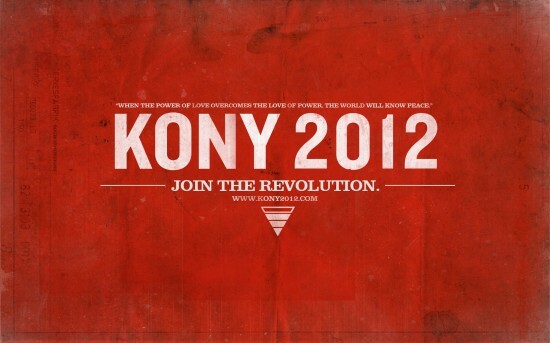 To begin, how do you feel about the Kony 2012 video and the reaction that has been witnessed in western countries? Have you seen the video? Kony: I have seen the video posted by the Americans, it appears everyone has seen my video and my face. They make me out to be a devil, but they do not understand that I fight on behalf of God, I fight in defense of the Ten Commandments and those who follow them. I am a prophet to my followers, a father to them and I am a devil to my enemies. The video has given my enemies the evidence they need to know that I am their devil and I will overcome their tyranny on my people (The Acholi). Anthony: Why did you begin the fight? What motivated you to begin The United Holy Salvation Group, which later became the Lord's Resistance Army? Kony: Why does a shepherd carry a staff as he guides his flock. Our lord savior was our shepherd, he no longer is here, but I have been chosen to continue to guide, to continue to carry the staff of Jesus against the unpure. My group became the staff that defended my people from the tyranny of the Ugandan government and he who leads them. I fight with the spirits that give me the power to succeed. With the help of the spirits, against the unpure, I am invincible. Anthony: You continue to make reference to the spirits and the Ten Commandments, why are these significant and why do you believe you were chosen? Kony: I have told you before, I am the prophet of the Ten Commandments, the spirits of the world guide me and make me invincible and have helped me amass my forces and become a champion among my people. Anthony: If the spirits make you invincible, why do you run? Why do you flee from your opponents? Kony: You are a funny man, you think I am easily fooled? I do not run! I am guided by the spirits, they tell me to move away from certain places and I do. The spirits give me power and when they leave me, I am forced to follow. Anthony: How do you feel about Invisible Children and the campaign they presented to my people? Do they bring you any concern? Kony: I do not fear anything, your people have seen my face and know my power. You think you have stopped me, but I know your people, I know your country. Here, you see something for a day and believe you have changed the world, that you know the entire world, when you know nothing and have changed nothing. The world knows your people, but you do not know them and because of this, I am able to continue on without worry. Here, your people see something shiny and they follow it to the end, when at the end of the day, they foolishly support a false idol, using them for their money. I am the true leader of my people, a true idol and my fight against the unpure continues. Anthony: I have an important question for you and I would like you to answer without offense. Why children? Why do you use children as your soldiers? Kony: We are all children of the lord, I simply save these children from the unpure people who teach them to live a life of false idols and immorality. They are my children and follow in the practice of my teachings. I teach them, feed them and train them to be followers of the commandments and because of this they live a good life, a life of devotion to good. At first, many of my followers were not children, but young men who wanted to fight the tyranny our government rained upon us. As time went on, my men died and our power was weakened. To many youth were corrupted by the propaganda against us and the Ugandan army also began using children among their ranks. I began using children in my ranks as soon as the LRA began, because it allowed us to become stronger and more committed and our purity increased. Anthony: Interesting, but do you not believe that children should be left to study, because they are not old enough to understand the issues you face? Children need their families and their community, how can they get this under your command and fighting? Kony: Do not look down upon my tactics, you do not understand what we face in this conflict. There are no children in Uganda when the flame of war is upon us. These children fight for their families, they fight for their beliefs and live a life of purity with my forces. I bless them and through them we will change the face of Uganda and cleanse it. I teach my children, compared to how you people in America treat your children, I do not consider my actions bad. Your children become bloated, hypnotized by false idols that use them for money and power. In the end, your children are led astray, while others gain power, I want to empower the right of the commandments, the ultimate authority in our world, the words of God himself. I provide to my followers the moral and physical satisfaction they need to become strong, even invincible. Anthony: What will you do now that the Invisible Children's campaign will continue? Are you still going to continue fighting the government? Kony: I have said enough, you do not understand how difficult this battle is and will never understand it. I have fought my entire life and am a legend in Uganda. I will continue my fight until the purity of my people is maintained and the tyranny of the the unclean is destroyed. During the interview, Kony and I both shared a few pieces of bread. We talked and tension began to rise in the room. After asking Kony what was next, he became frustrated and I became a target. Someone was standing behind me and in a moments notice placed a knife at my neck. Kony also pulled out a knife and held it toward me. It was at this point that I felt a fear cross my body as I stared into his eyes and could only feel the sorrow that many young children have faced when placed in this exact position. How could a child cope, when a grown man could feel fear at Kony's mercy. Kony began to shake and his eyes wander...he was channeling the very spirits that became his most common answer throughout the interview. After a moment of trance that seemed like a lifetime of fear for myself, Kony looked into my eyes as if to channel my soul. Kony: The spirits have granted you freedom, you are blessed and will live. Go and tell your followers what I have said to you. I left this meeting with a new sense of meaning, knowing that my life was threatened by dangerous men, but also refreshed by the answers I received. It is common knowledge that Joseph Kony is a dangerous man, he is not the first and will most likely not be the last. What is more important is to show how easily one's faith can entrap him and create the necessary motivation to commit atrocities. Kony does not believe he is a bad man, because his mission is a holy one in his eyes. His followers likewise support this vision and allow him to empower his men and even his own arrogance to fight on. Kony lives and breathes for the Ten Commandments, but it obvious that the commandments he speaks of are nothing more than a title for a political ideology that he wants to instill. It is comforting to know that Uganda is currently not as damaged as it once was before. The civil war has take a turn towards the illusion of peace through cease fire or lack of conflict, but Kony is still a threat. Unfortunately, Kony 2012 has not made Uganda any better, but it has shown us something important regarding our own culture. We forget easily and are guided by our media heavily. I bet you forgot about Kony recently yourself and odds are you were more interested in the life of a celebrity than if Kony was caught or not. It is my hope that by reading this entry, you see the bias that we currently live in. We have stereotyped groups in our media and follow them on a priority listing that is anything but natural. Could it be that Kony is a terrorist classified as Catholic that we rarely see his image anymore? Can we call him a terrorist? We see certain religions targetted in the media as terrorists, but when a group of primarily white capitalists tell us someone is bad, we follow it for a week like a new revolution is upon us, only to forget about it completely a month later. What does that say about Canadians and Americans as a people? Is something wrong? I would appreciate your comments and your discussion and as always ask that you keep it civil.